Cheryl Esposito welcomes Ocean Robbins co-founder & CEO of Food Revolution Network & co-author Voices of the Food Revolution: You Can Heal Your Body & Your World with Food! Can you believe that it was ice cream that led to a healthy food revolution? It’s true. Ocean Robbins’ grandfather, Irvine Robbins, founded Baskin-Robbins ice cream company. Ocean’s father, John Robbins chose a path that was a departure from the “establishment,” seeking his own voice and life of meaning. John wrote the bestseller Diet for a New America about vegetarianism, the environmental impact of factory farming and animal rights. Today, Ocean is husband, father, author, speaker, movement builder, and CEO of the Food Revolution Network. He is co-author of Voices of the Food Revolution: You Can Heal Your Body and Your World with Food! If you eat more vegetables, you’ll be healthier, right? Maybe. Not all vegetables are created equally. Big agribusiness is hijacking our food sources with GMO’s (Genetically Modified Organisms), all in the name of feeding the planet, improving the shelf life of produce or making crops disease resistant. Given what we don’t know about GMO’s, can we afford to be complacent? 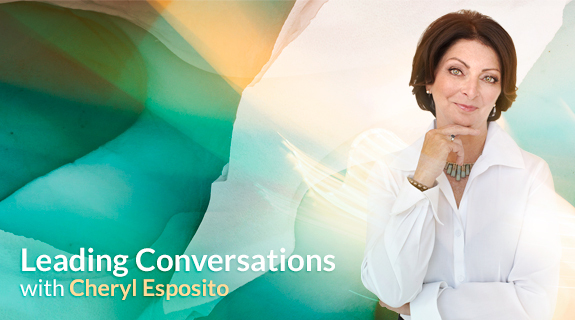 Join Cheryl Esposito & Ocean Robbins for this eye-opening episode!